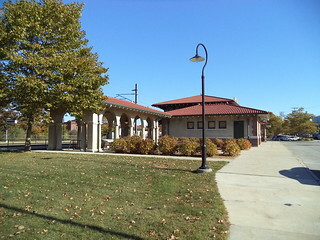 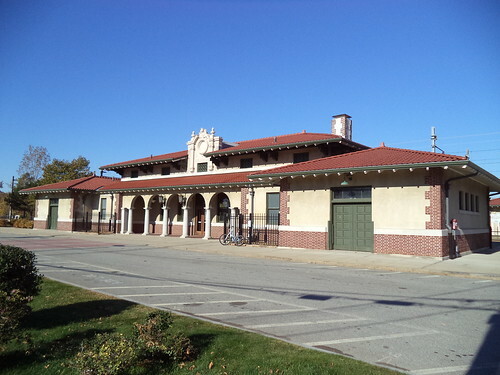 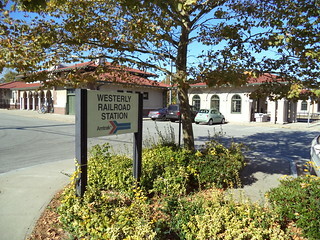 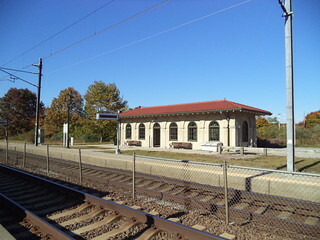 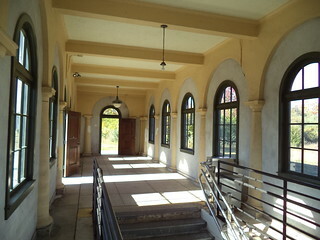 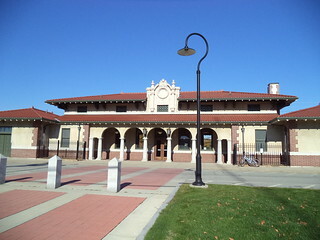 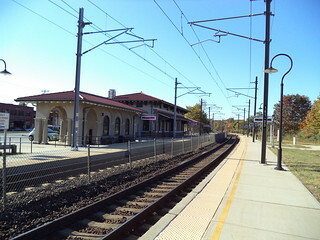 The station building in Westerly was constructed in 1912 by the New York, New Haven and Hartford Railroad. 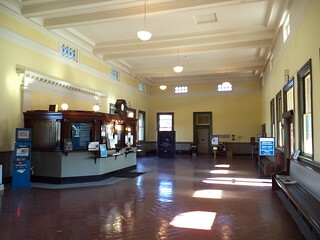 Inside the main station and the small building on the westbound side. 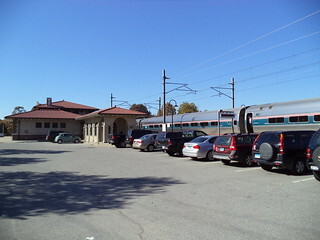 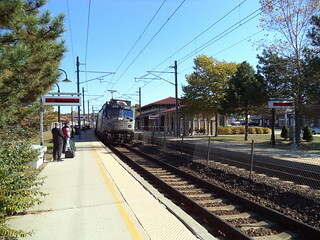 Our train to Mystic arrives and our train from Mystic departs.